From helping prevent loss of life in the event of a natural disaster, to aiding marketing teams in designing more targeted strategies to reach new customers, big data seems to be the chief talking point amongst a broad and diverse circle of professionals. For Security Engineers, big data analytcs is proving to be an effective defense against evolving network intrusions thanks to the delivery of near real-time insights based on high volumes of diverse network data. This is largely thanks to technological advances that have resulted in the capacity to transmit, capture, store and analyze swathes of data through high-powered and relatively low-cost computing systems. In this blog, we’ll take a look at how big data is bringing deeper visibility to security teams as environments increase in complexity and our reliance on pervading network systems intensifies. Large environments generate gigabytes of raw user, application and device metrics by the minute, leaving security teams stranded in a deluge of data. Placing them further on the back foot is the need to sift through this data, which involves considerable resources that at best only provide a retrospective view on security breaches. 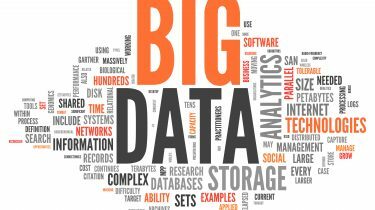 Big data offers a solution to the issue of “too much data too fast” through the rapid analysis of swathes of disparate metrics through advanced and evolving analytical platforms. The result is actionable security intelligence, based on comprehensive datasets, presented in an easy-to-consume format that not only provides historic views of network events, but enables security teams to better anticipate threats as they evolve. In addition, big data’s ability to facilitate more accurate predictions on future events is a strong motivating factor for the adoption of the discipline within the context of information security. As new technologies arrive on the scene, they introduce businesses to new opportunities – and vulnerabilities. However, the application of analytics to network security in the context of the evolving network is helping to build the secure, stable and predictable networks of tomorrow. Detecting modern, more advanced threats requires big data capabilities from incumbent intrusion prevention and detection (IDS\IPS) solutions to distinguish normal traffic from potential threats. By contextualizing diverse sets of data, Security Engineers can more effectively detect stealthily designed threats that traditional monitoring methodologies often fail to pick up. For example, Advanced Persistent Threats (APT) are notorious for their ability to go undetected by masking themselves as day-to-day network traffic. These low visibility attacks can occur over long periods of time and on separate devices, making them difficult to detect since no discernible patterns arise from their activities through the lens of traditional monitoring systems. Big data analytics lifts the veil on threats that operate under the radar of traditional signature and log-based security solutions by contextualizing traffic and giving NOCs a deeper understanding of the data that traverses the wire. Gartner states that, “Big data analytics enables enterprises to combine and correlate external and internal information to see a bigger picture of threats against their enterprises.” It also eliminates the siloed approach to security monitoring by converging network traffic and organizing it in a central data repository for analysis; resulting in much needed granularity for effective intrusion detection, prevention and security forensics. In addition, analytics eliminates barriers to internal collaborations between Network, Security and Performance Engineers by further contextualizing network data that traditionally acted as separate pieces of a very large puzzle. So is big data analytics the future of network monitoring? In a way, NOC teams have been using big data long before the discipline went mainstream. Large networks have always produced high volumes of data at high speeds – only now, that influx has intensified exponentially. Thankfully, with the rapid evolution of computing power at relatively low cost, the possibilities of what our data can tell us about our networks are becoming more apparent. The timing couldn’t have been more appropriate since traditional perimeter-based IDS\IPS no longer meet the demands of modern networks that span vast geographical areas with multiple entry points. In the age of cloud, mobility, ubiquitous Internet and the ever-expanding enterprise environment, big data capabilities will and should become an intrinsic part of virtually every security apparatus. Integrated Cyber Network Intelligence : Why would you need Granular Network Intelligence?